Symptoms are a result of not enough progesterone leaving you with too much estrogen. Occurs as a result of your body not producing enough progesterone. Generalized worsening of symptoms until around 5 years post menopausal. Can be symptomatic for life if untreated. In women, nature’s counter-balance to the stimulatory effects of estrogen is the hormone progesterone. In men it is the hormone testosterone. When estrogen levels become too high or progesterone/testosterone levels are too low (or both) then the result is estrogen dominance. Your doctor will run a Progesterone deficiency self assessment questionnaire to diagnose this condition. The first step is finding out if you actually do have a hormonal imbalance, or if you suffer from another condition with similar symptoms. An excellent starting point is to evaluate the severity of your symptoms. Taking a simple 15-item self-assessment questionnaire, Progesterone Deficiency Assessment Questionnaire, gives you an instant evaluation of the severity of your symptoms and also a baseline measurement by which to gauge your responsiveness to treatment. An estrogen-dominant woman will usually experience a worsening of symptoms if given estrogen. Often, doctors will prescribe estrogen to women and ignore progesterone and testosterone. Why does estrogen dominance develop? What are the signs and symptoms of estrogen dominance? 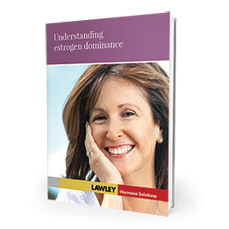 How is estrogen dominance treated? How can I decrease my symptoms via lifestyle changes? What are the pros and cons of natural progesterone treatment versus synthetic progestins? What are the side-effects of progesterone replacement therapy?